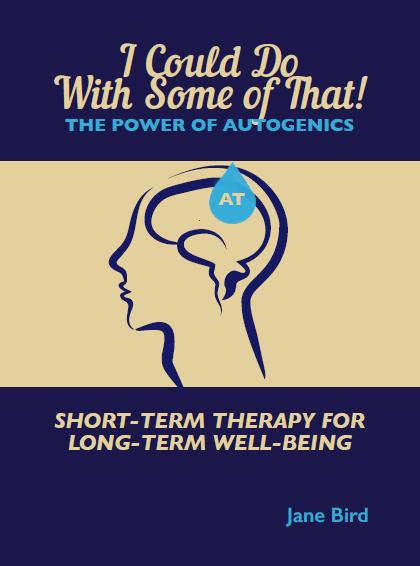 This week the conversation I had with a client who has been using AT for 4 months included so much positivity I was (yet again) bowled over by the power of Autogenic Training (AT). Rachel (not her real name) spoke about the subtle changes she is noticing in her life. She has been under a lot of work pressure, and one day, talking to colleagues she found her anxiety levels running very high indeed. However later, she was able to use her autogenic techniques to clarify her thoughts and emotions. This new understanding of herself is helping her deal with difficult situations: ‘I am able to stand back and accept’. Next time she was with colleagues around similar conversations, she noticed her reaction was much calmer. Rachel also notices how her whole demeanour is calmer. She is sleeping better; everything around her, although busy, feels focused and manageable. ‘Subtle’ is certainly the word. AT happens by itself. It is not my business, as the therapist, to tell Rachel how she should or should not feel; or how to talk (or listen) to others. Rachel is her own therapist, using AT and bringing about profound changes from within herself (autogenic).